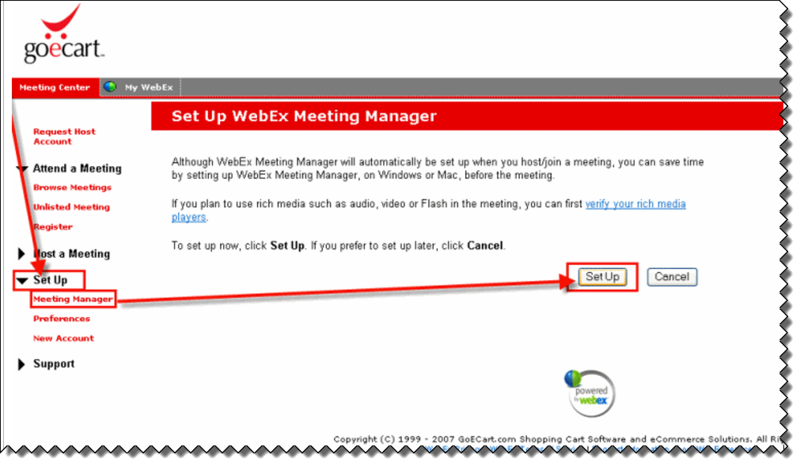 What should I do before I join a WebEx session? 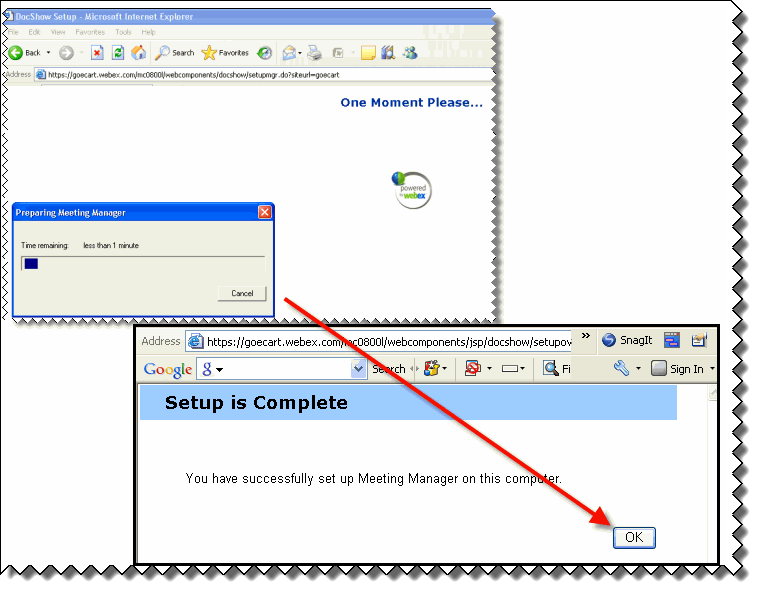 Under Setup > Meeting Manager click the Setup button. If prompted, install the ActiveX component. Once the Installation is complete, click the OK button. You are now ready for the WebEx session.